Adding a tougher side to DvF and Yvan Mispelaere's latest collection, we were treated early on with cropped black biker jackets and dresses with surprisingly deep decolletages. This was all very good though, and Diane continued her victory parade with sleeveless fur coats and dot printed blouses. The main colour combination of the show seemed to be red and gold, which means good luck in Asia. But von Furstenburg's brand does not need luck - the designer (and her American Legends collection) is all about experience and a long ago proved sense of style. The colour palette was soon filled out with injections of fuschia, blue and turqoise. To the mixed soundtrack of 70s disco beats and an infectious Western whistle tune, Diane von Furstenburg showed her two main inspirations this time by adding glitter dresses and issuing almost every single model with black Zorro-esque hats. It was a pleasant experience in every way possible. Dazed Digital: What is the theme of the show? Diane von Furstenberg: It's called American Legends and it's a celebration of all of these extraordinary women, like Diana Vreeland and Gloria Vanderbilt who were both artists, muses settlers, travellers. This collection celebrates their strength and panache. DD: How is that visible on the catwalk? 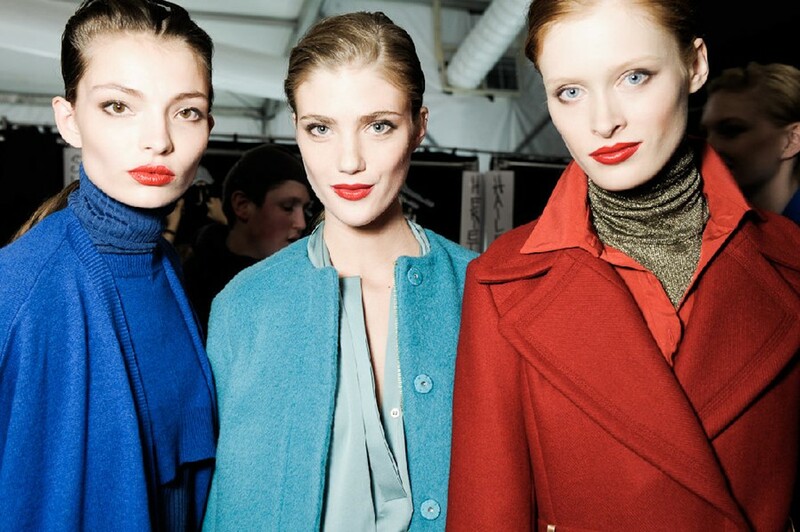 Diane von Furstenberg: The colours, lots of strong colours... we went to the West for both the colours and prints!